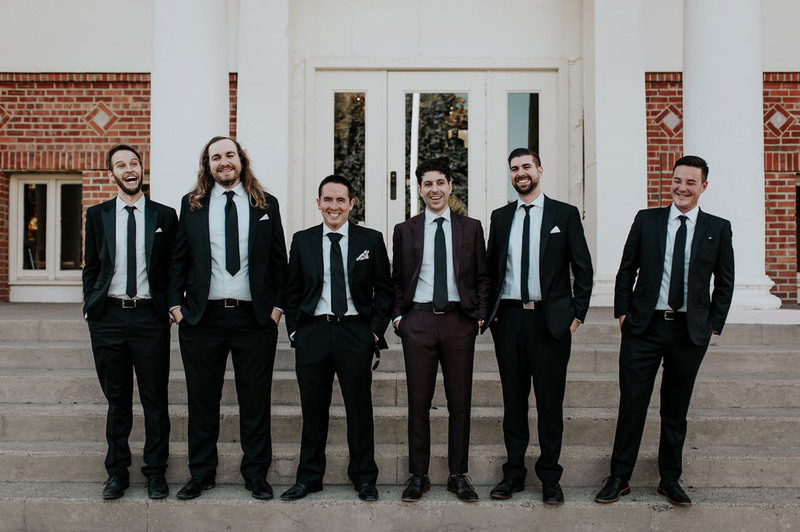 The inspiration for our wedding was a blend of classic and contemporary. We wanted something casually elegant, beautiful but straight forward without all the extra clutter. 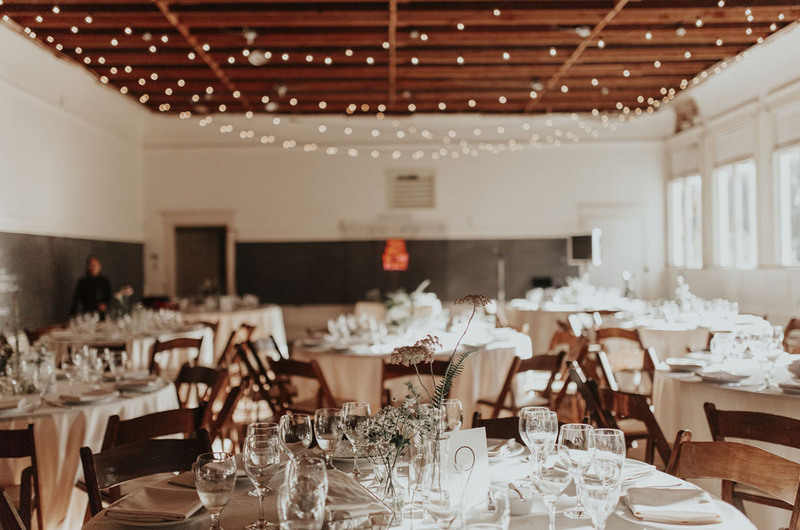 We wanted a venue with a sense of interest and discovery for us as well as our guests. 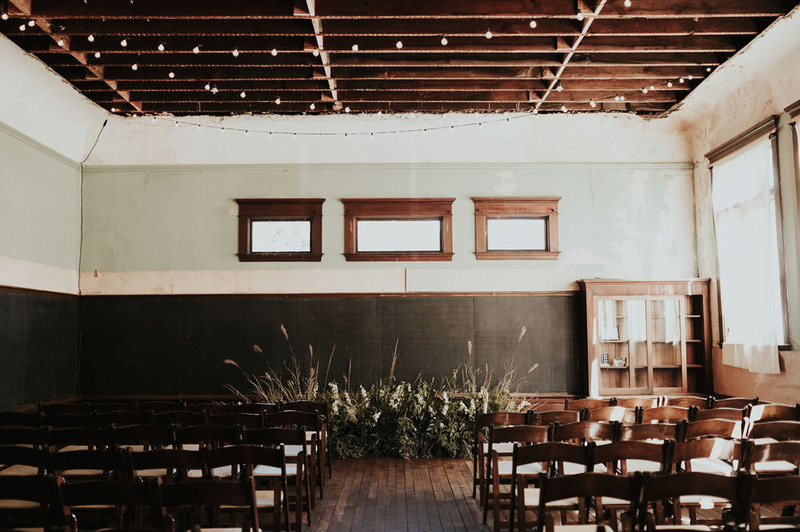 This historic 1909 school house with all of its exposed wood ceilings and original blackboards was totally different from anything else we had seen. 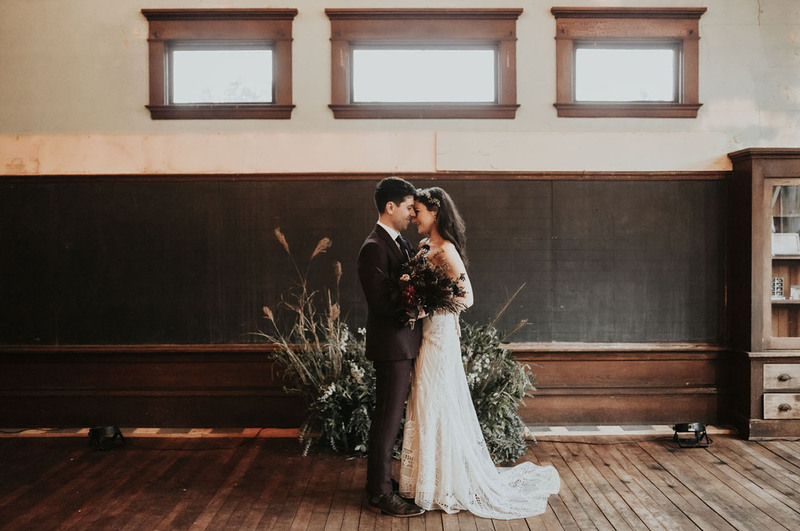 Port Costa Schoolhouse just spoke to us and we knew this charming town full of hippies and weekend warriors was the perfect fit! 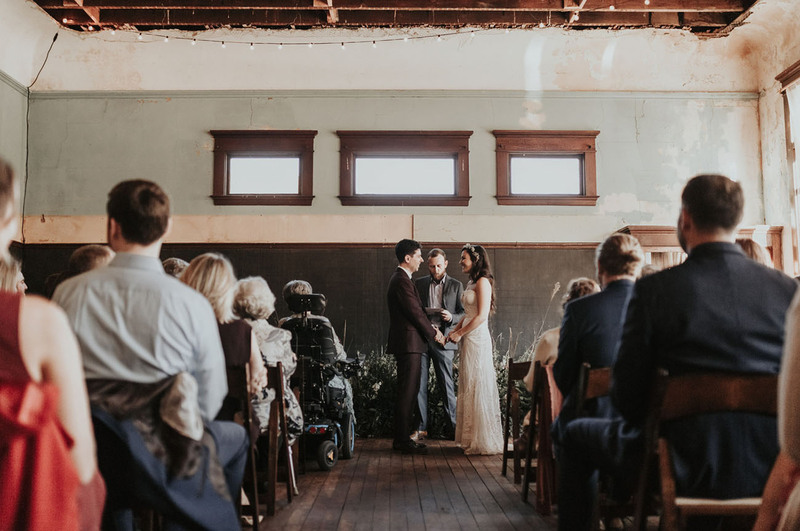 Lynn Lewis Photography joined the party in Port Costa to capture all the details. Let’s have a look! Justin: I will always remember our first look. 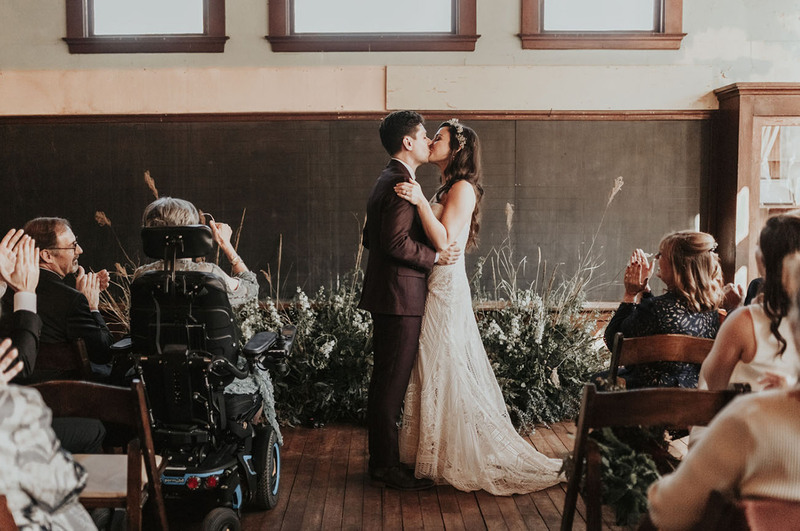 Our plan was to utilize a brick alleyway with overgrown ivy and string lights next to the hotel for our first look. On the day of the wedding, a local store owner was using that space for his thrift store. 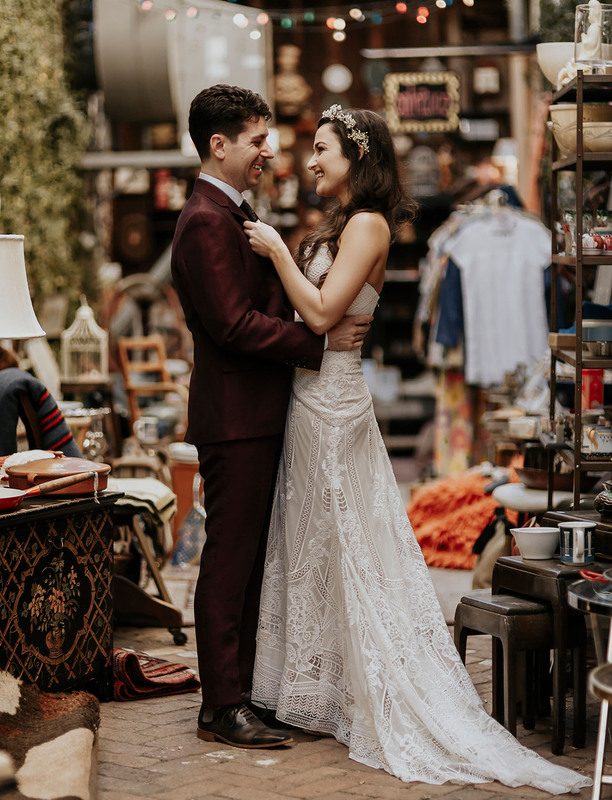 Instead of having to change locations, the host of bazaar graciously allowed us to use his space of vintage furniture and rare collectibles as the stage for our first moment together on our wedding day. 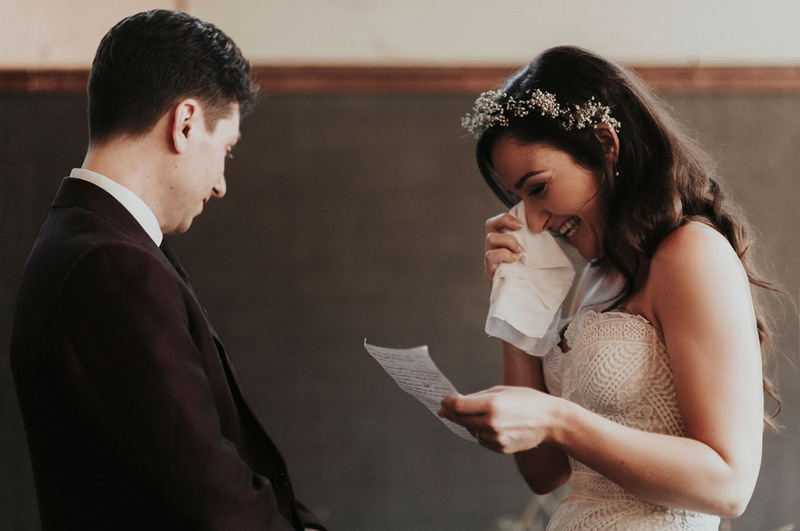 When she tapped me on the shoulder and I finally saw my soon-to-be-bride, all the clutter and noise of the thrift store melted away and all I could see was her smiling at me. I knew I was absolutely ready to spend the rest of my life with her. 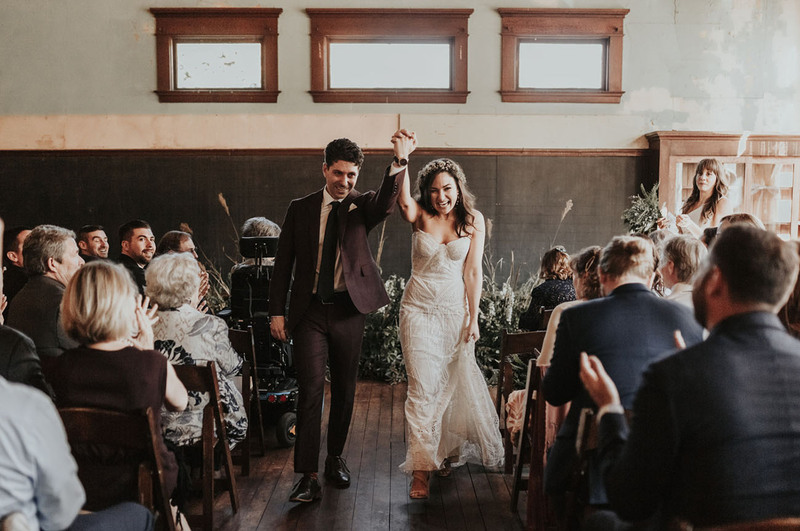 Lindsey: When everyone was at cocktail hour, we snuck away to the reception room and had a private first dance as husband and wife. It was such a precious moment frozen in time, a moment that was just ours. 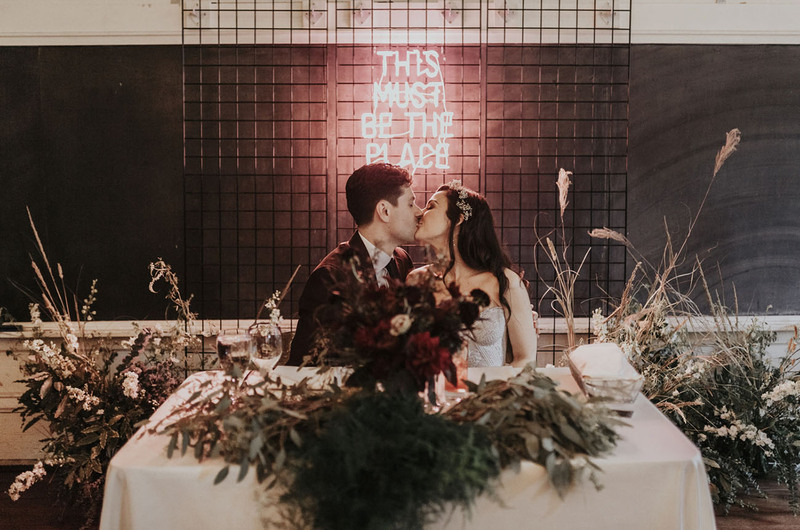 The song we snuck away to was "This Must Be The Place (Naive Melody)" by Talking Heads, the same song reference in the neon sign that we had behind the sweetheart table. 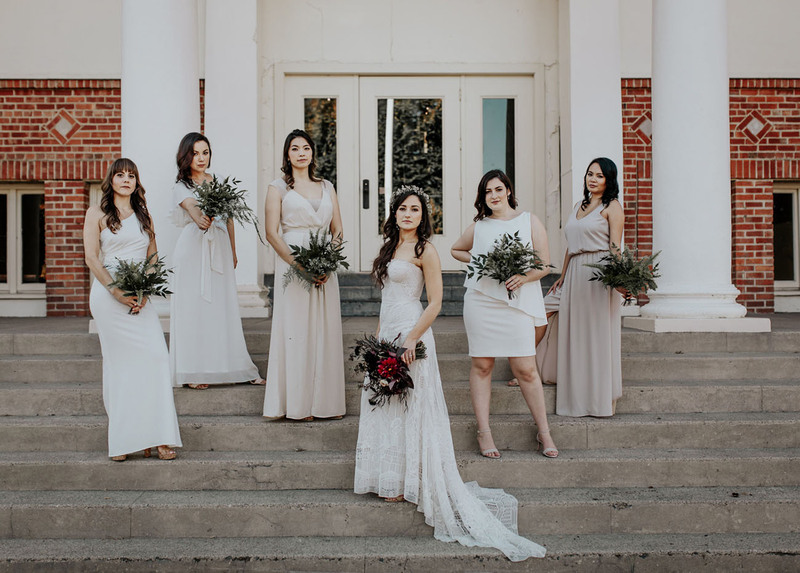 The ladies looked lovely in neutrals and carried bouquets of greenery while Lindsey’s red blooms took the spotlight! 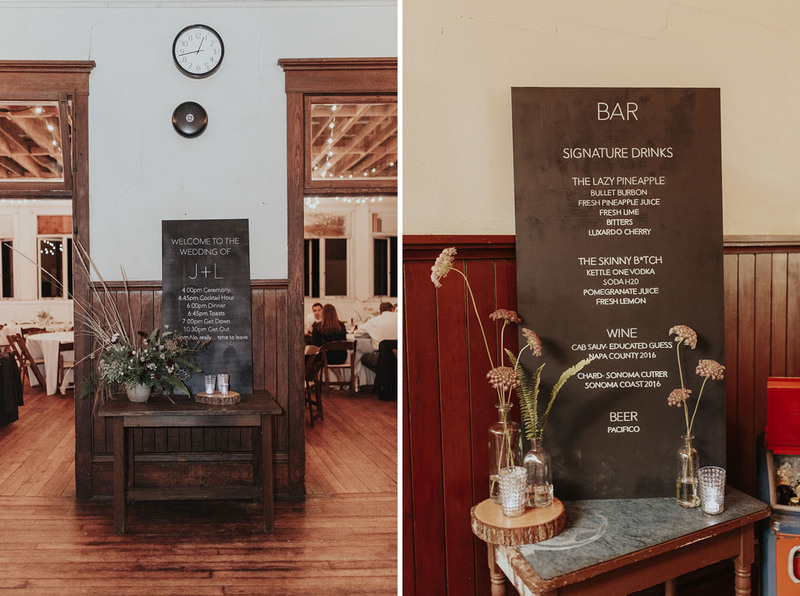 J + L called on Petals of Love Studio to help fulfill their vision and transform the historic schoolhouse into their own unconventional space. So fun!! 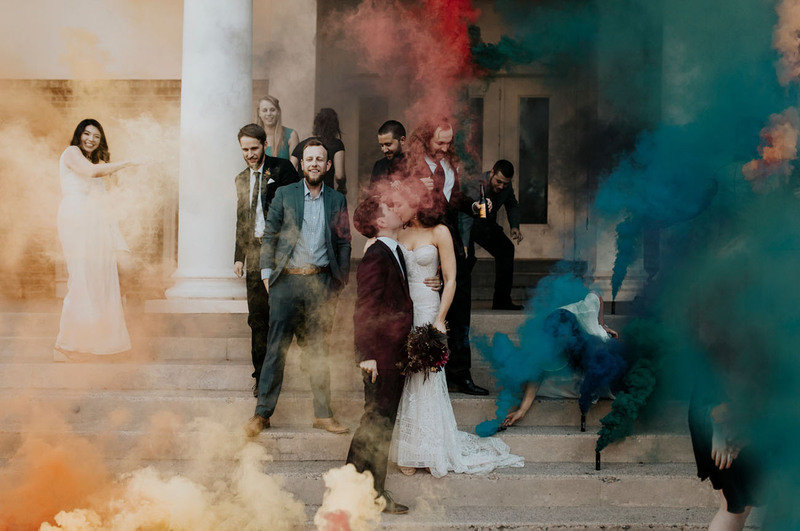 Here’s another colorful idea — a smoke bomb exit! 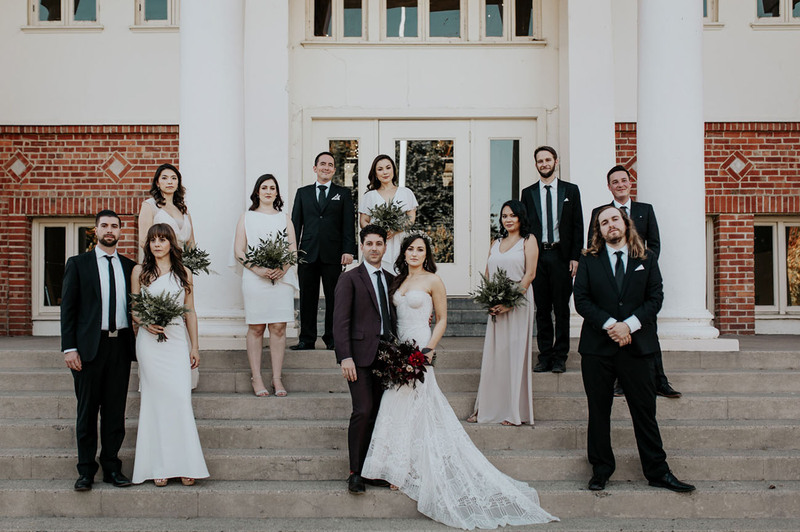 Oogling at the back of Lindsey’s dress? Yeah, SAME. 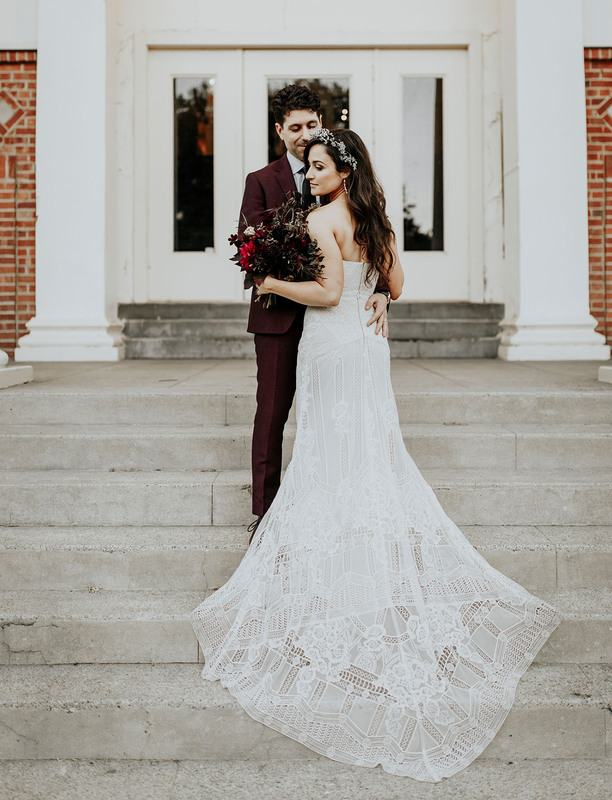 She wore a dreamy Rue De Seine gown that featured this gorgeous embroidered train. This isn’t your traditional school lunch! L + J’s guests enjoyed dinner from Carrie Dove Catering until the bell rang for dancing to follow! Lindsey: Just remember that it is your day. Make decisions based on what you want for your event and not what you think others will judge you for. 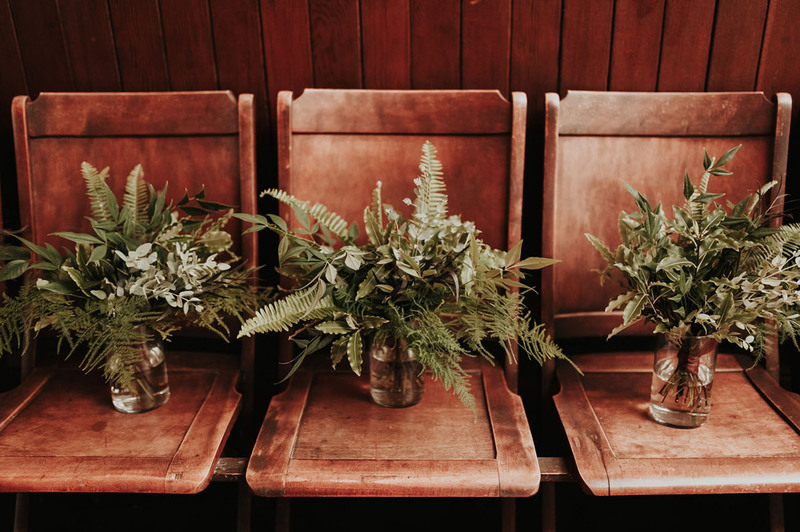 Stop comparing your wedding to others. Yours is special and unique in its own way! Justin: I would highlight how difficult it is to switch between discussing big picture ideas to considering every small detail. Use spreadsheets! 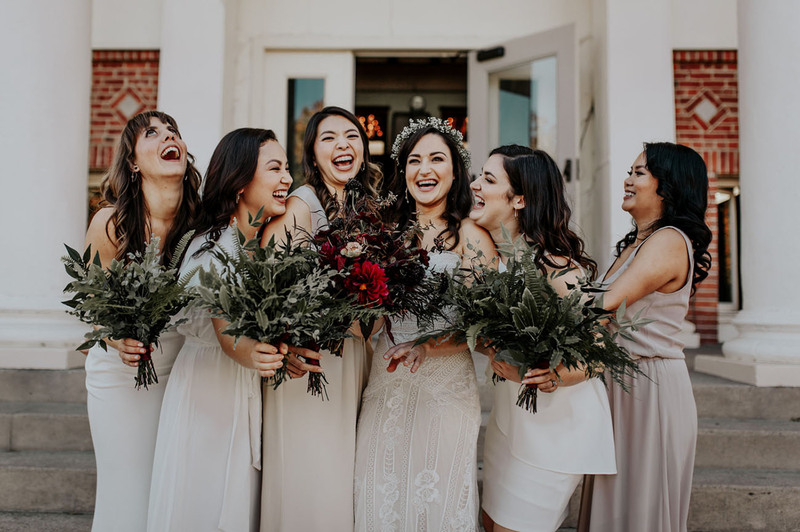 Keep a running, updated list of your guest list with email addresses, home addresses, phone numbers, etc. Use a web-based service like Google Sheets so that as you make changes on one device, that change is reflected on all devices. A week out from the date of the wedding, there isn't much else that can be done. A friend of ours described the final week as the "train has already left the station, you're just passengers. Enjoy the ride!" 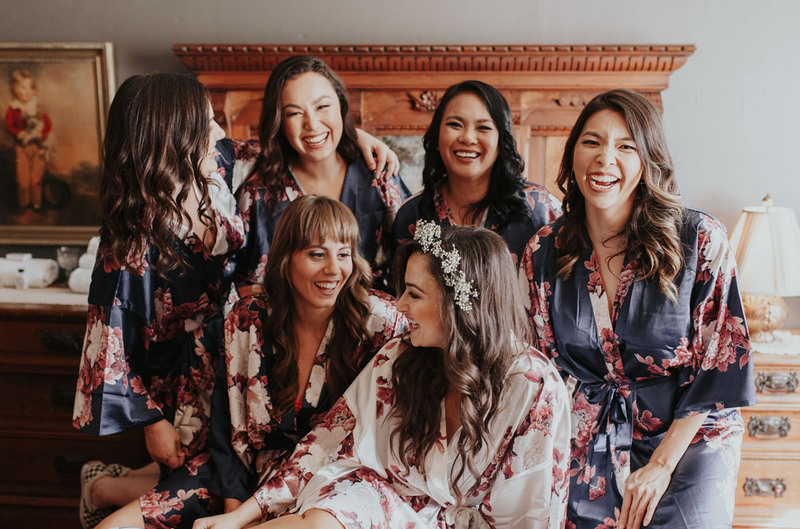 The final week before the wedding felt like crunch time. 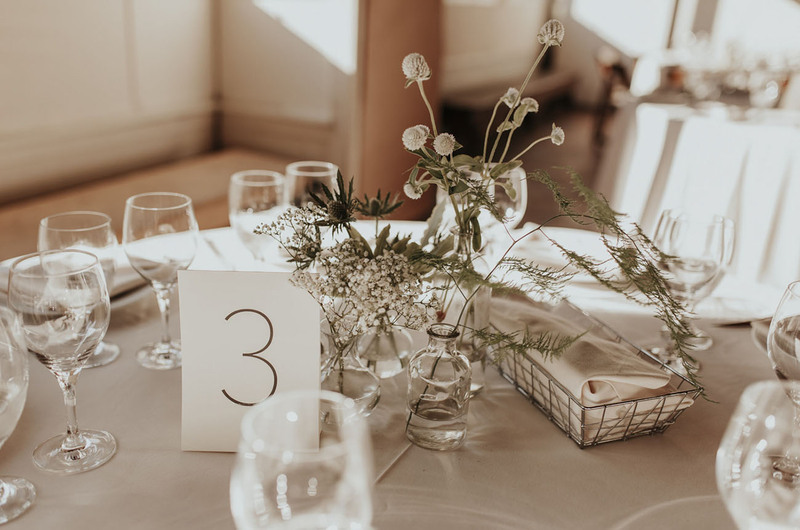 It's important to remember what's important: people will come to your wedding, there will be food, people will have a good time, and the most important, you're getting married! 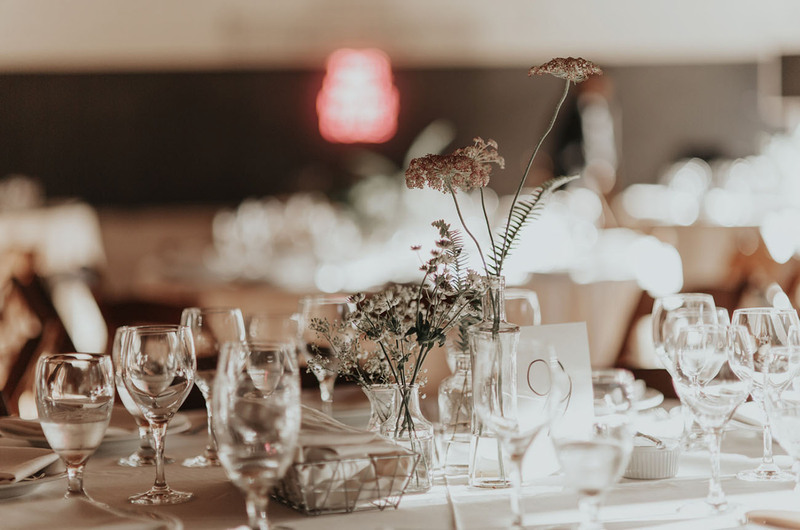 Allow your caterers to work together and leverage your friend's strengths. If you have favors to call in, now's the time. 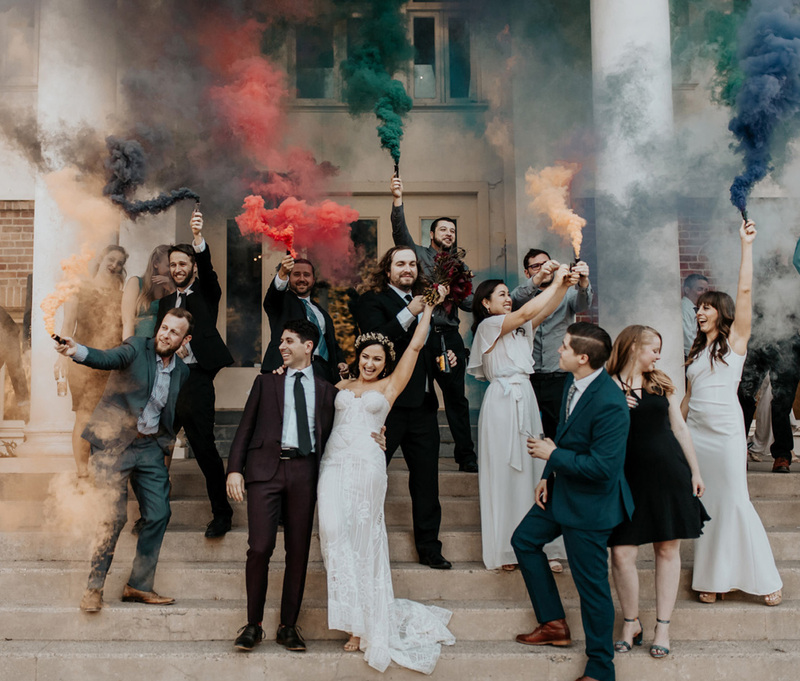 Our friends and family helped us out with everything from decorating, videographer to part-time DJ. All our congrats to the happy couple!